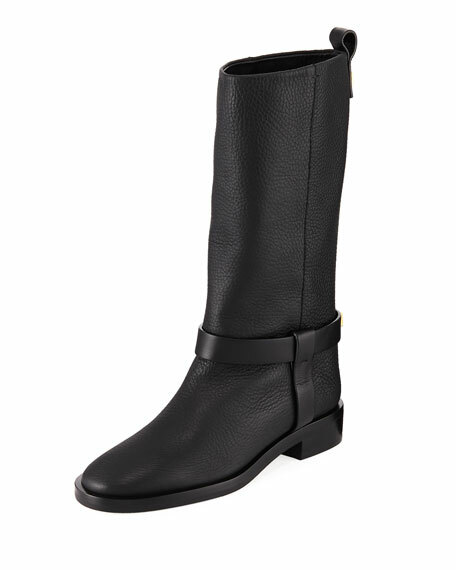 Stuart Weitzman pebbled leather mid-calf boots. Studs at heel counter and backstay. "Casey" is made in Spain.